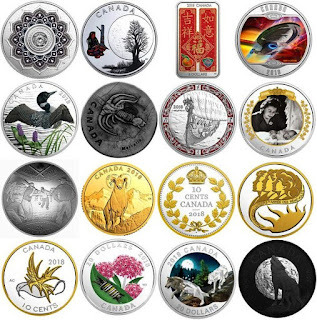 As usual every month, I have prepared a selection of images of the numismatic issues that have been put on sale by the Royal Canadian Mint during this month of March 2018. It is surprising to check the number of different coins that this Mint can present each month, but more importantly, the vast majority of these are of great beauty, being pieces that can have a prominent place in any collection. If you want to expand information on any of these currencies, I leave you link to the online store of the Royal Canadian in its news section. I also leave you a compilation of videos, in which we can see real currencies of some of their latest releases.